See wild animals AS their natural habitat in these striking images created by Norwegian artist Andreas Lie. 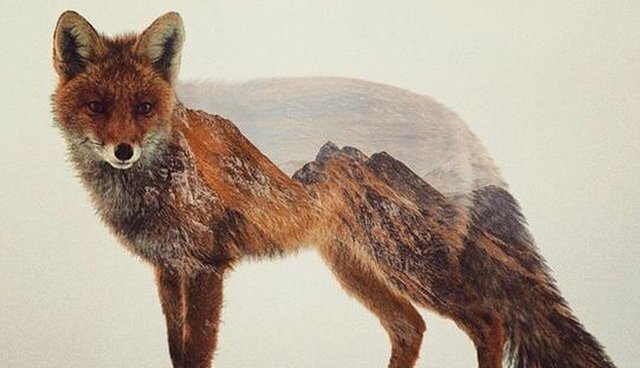 Lie digitally merges photos together to create these stunning animal images, part portraiture and part landscape. "I like to work with nature and animals because unlike humans, animals are always photogenic," Lie told The Dodo. ... the images even put the wild back into domestic dogs. Today is the last chance to enter the contest, share one of my works with the tags "@artworkbylie and #andreaslie" to win a print of that work. Two winners are picked tomorrow! Contest reminderShare/repost your favourite artwork of mine with the tags "@artworkbylie and #andreaslie" to win a copy og the artwork you shared. Two winners will be picked in under two weeks from now. Learn more about digital mixed media artist Andreas Lie and his unique animal portraiture here.